As Kamuning Bakery continues to make artisan breads, cookies, and cakes using recipes handed down from generation to generation, the newly opened Kamuning Bakery Cafe boasts of modern innovations that complement the old traditions. Its menu is a fusion of European and Asian cuisines with uniquely Filipino twists. For starters, we were served Pan de Suelo Trio. 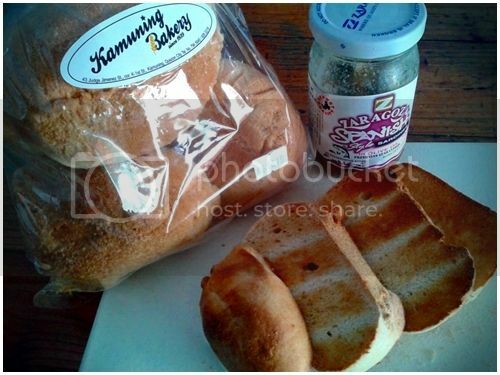 Pan De Suelo is Kamuning Bakery’s signature bread which widely known to be the favorite bread of the late President Corazon Aquino. Even with modern conveniences, the Pan De Suelo is still made the traditional way – hand-kneaded and baked on the suelo(floor) of the pugon(wood-fired brick oven). 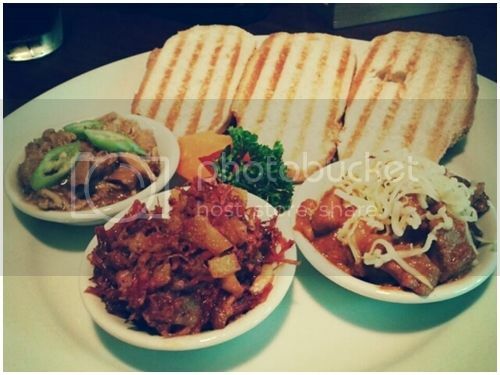 This plate of grilled Pan De Suelo comes with corned beef, adobo, and menudo. We were also able to sample three of their unique pasta dishes – Chicken Sisig Pasta, Lucban Longganisa Pasta, and Tawilis Pasta. Among the three, my husband and I loved the Chicken Sisig Pasta best. Those who love tomato-based dishes would enjoy the Lucban Longganisa Pasta. The Tawilis Pasta was good but I found it a bit dry. A little more sauce would have made it a lot better. 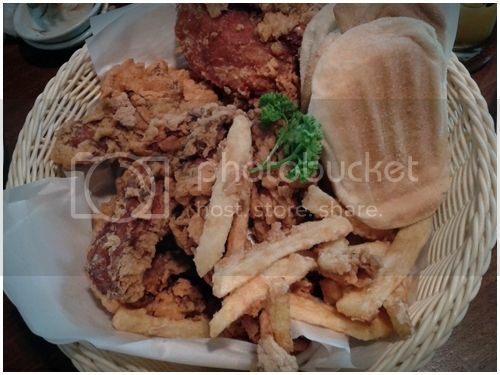 Another dish that I highly recommend is the Kamuning Chicken Basket. The chicken was perfectly fried – crispy on the outside but so juicy inside. It wasn’t smothered in breading at all so you taste all the chicken goodness. 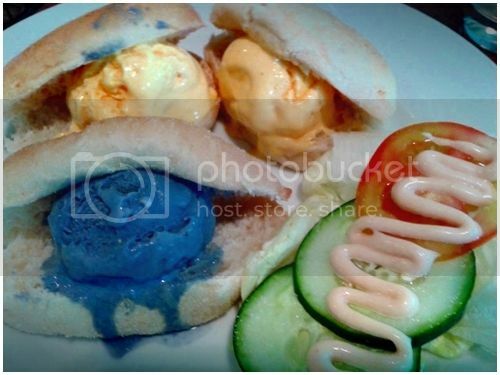 We capped off lunch with slices of cake and ice cream in pandesal. The Ube-Pandan Cake is one of their bestsellers and I’m not surprised. It was moist and flavorful. The Strawberry Shortcake was a bit too sweet for me, although a decade ago, I would have devoured it in a second. My daughter LOVES strawberries and would most likely be delighted with this one. Among the three cakes we sampled, my little boy would love the Chocolate Mousse most. He might want to have more chocolate chips on top though. We were also able to try their Iced Coffee made from Benguet Province Arabica coffee beans brewed using an imported Italian coffee machine. Aside from espressos, lattes, cappuccinos and other coffee concoctions, Kamuning Bakery Cafe also serves Native Chocolate Tablea drinks. A cup of this would have completed by my breakfast of Pan De Suelo and Spanish Sardines the next morning. At Kamuning Bakery Cafe, you can enjoy all-day breakfast meals, pastas, rice meals, and sandwiches along with their best-selling breads, cookies, and cakes. Soon, you will also get to savor pugon chicken and pugon pizza when they open the restaurant beside the bakery. I truly wish that Kamuning Bakery Cafe will continue to flourish so the next generations could relish bread and food cooked the way our ancestors did. Jay and I would definitely take our kids here so they can have a bite of history as well. I wonder where the future of Kamuning Bakery Cafe will be, I hear more and more of people making use of event-driven applications to improve their business model and create data-driven strategies. I heard one friend used https://vantiq.com/ to build simple to use software. To be updated on promotions and new products, like or follow Kamuning Bakery and Wilson Lee Flores on Facebook, Twitter, and Instagram. 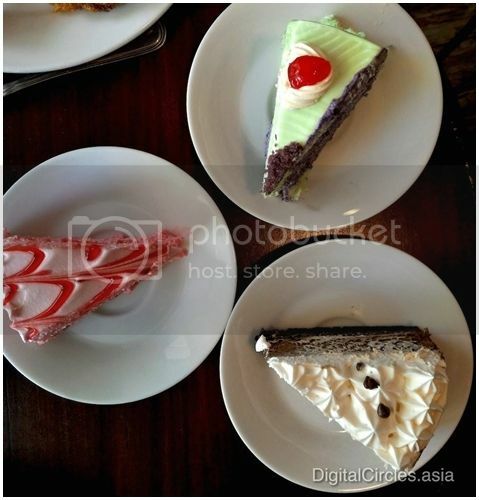 Kamuning Bakery Cafe is a joint that’s obviously worth a visit. I want to have a taste of its famous pan de suelo trio, to be enjoyed together with its delicious cup of coffee.